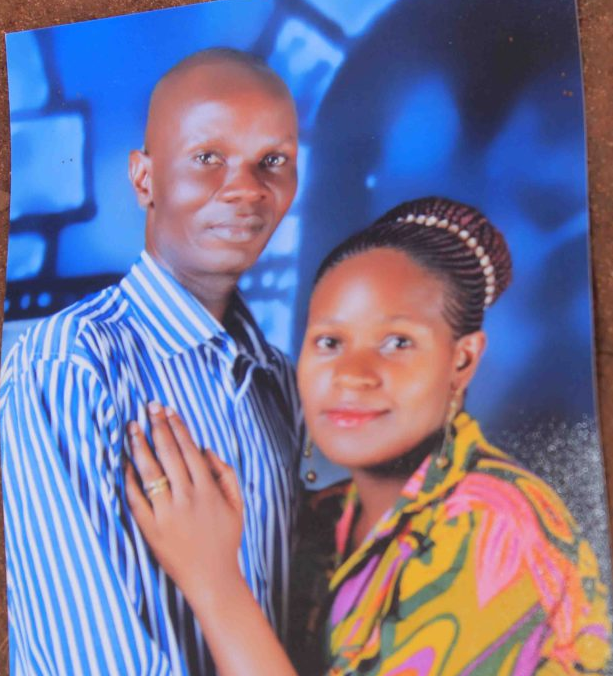 KAMPALA– Police in Nansana are searching for Patrick Mutili Musa, the Director of studies at Kasubi Senior Secondary School for allegedly slaughtering his wife and later took off. Aidah Nabuufu, an employee of Pride Microfinance in Nateete is admitted at a private hospital in Kampala with severe cuts allegedly unleashed to her by Mutili. Reports indicate Nabuufu who is now fighting back her life was slaughtered as she slept in their house located in Bugembegembe- Kasengenje Nansana town council. According to police, Nabuufu was found in pool of blood on the bed on Tuesday night. It is alleged that Mutili accused his wife of infidelity. Janat Nakagoro a house worker, who worked almost two years, accounts that the scuffle between the two started at around 2:00am on Tuesday night. She says that when she tried to intervene, Mutili who is now on the run told her that it is a rat which broke their plates and when she tried to switch on lights the power was off. She realised later that his boss had switched off the main switch and that by the time she got a match box, to get the light his had already fled the place. “I then heard Madam Aidah crying for help and immediately called neighbours for help. When we forced the door open, we saw her in pool of blood,” she said. Neighbour who described Mutili as humble, are still in shock with some insisting that it was witchcraft. Police commander in Kasengejje Henry Muhereza said that they have opened the case of attempted murder on a file number 03/07/11/2018.